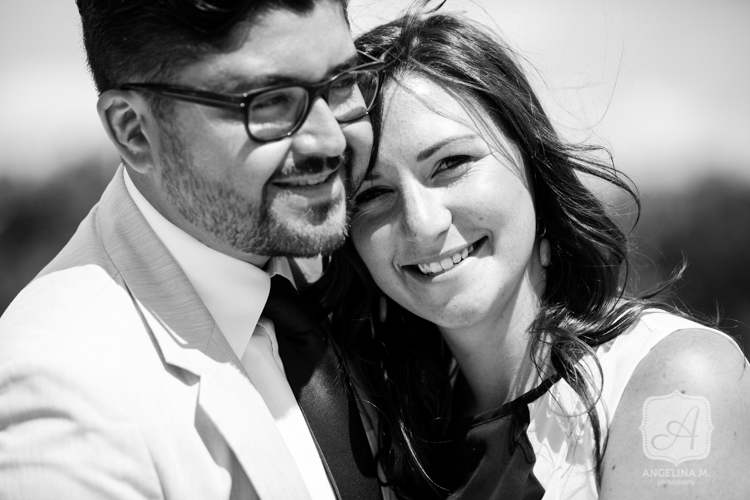 It’s hard to believe that I’ve known Juan and Heather for 11 years. 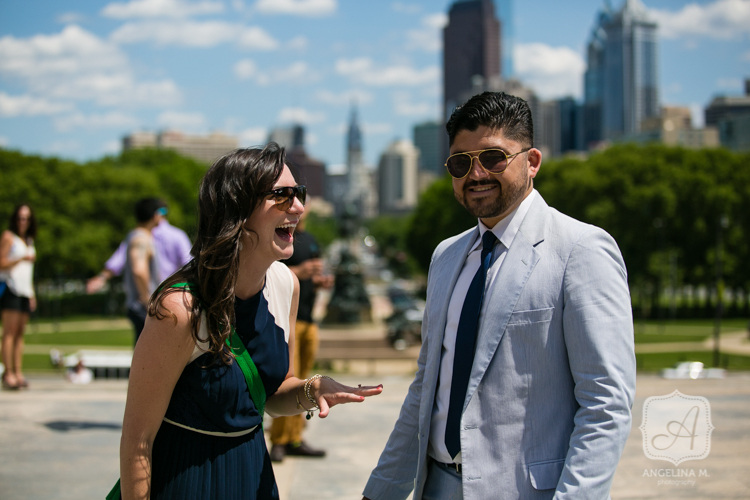 We all met back when we were students at Philadelphia University and we’ve remained wonderful friends since then. 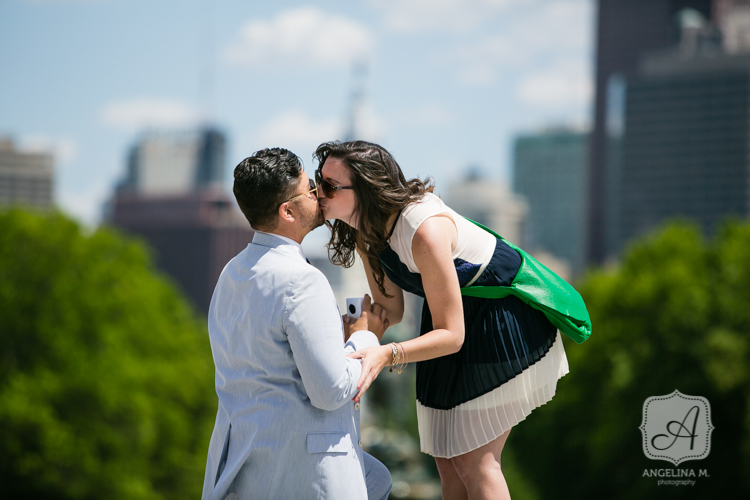 When Juan called me several months back to see if I was available on the day he was planning to pop the question, I literally screamed with excitement! 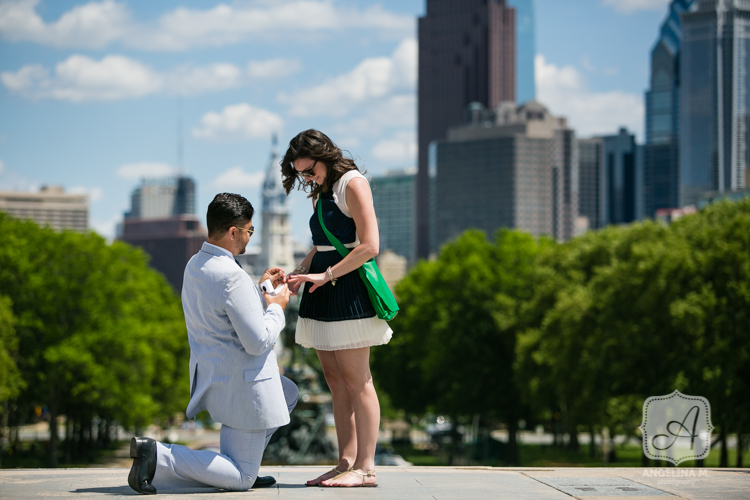 Not only was I ecstatic that he was asking Heather to marry him, but I was beyond thrilled and honored that he wanted me to document it! 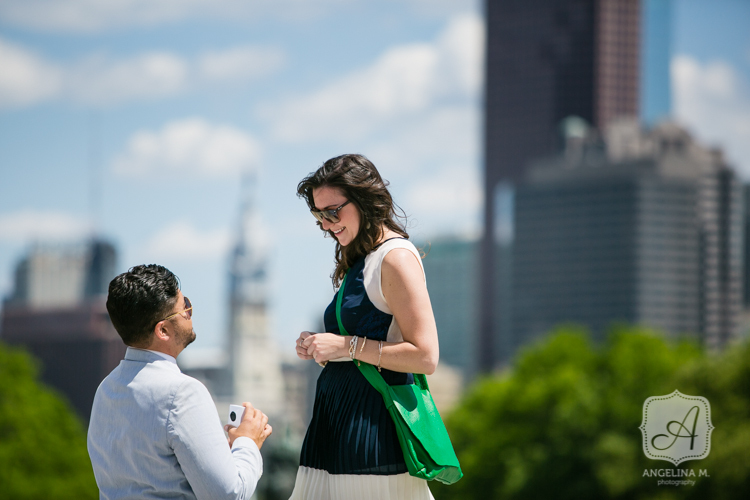 Of course, Heather had no clue about any of this so we had to be extremely sneaky in our planning for the perfect engagement proposal. 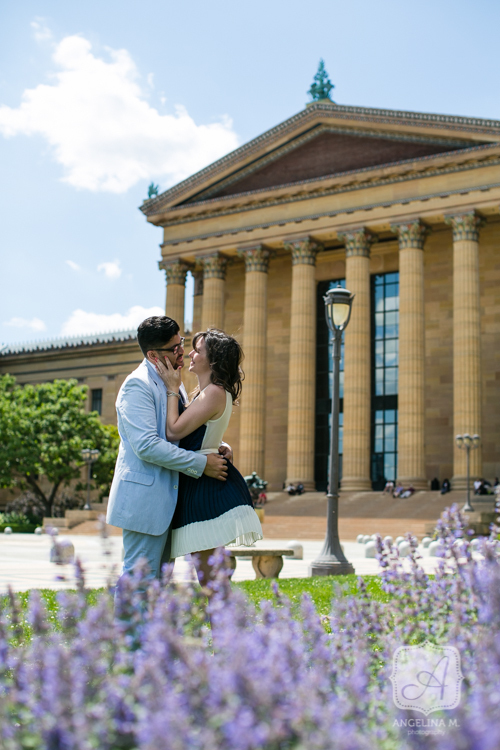 Juan did a wonderful job keeping this all a secret from her, from the actual planning of it to my photographing it (and especially since they flew into Philly early that same morning!). There were lots of moving parts and it all played out flawlessly. 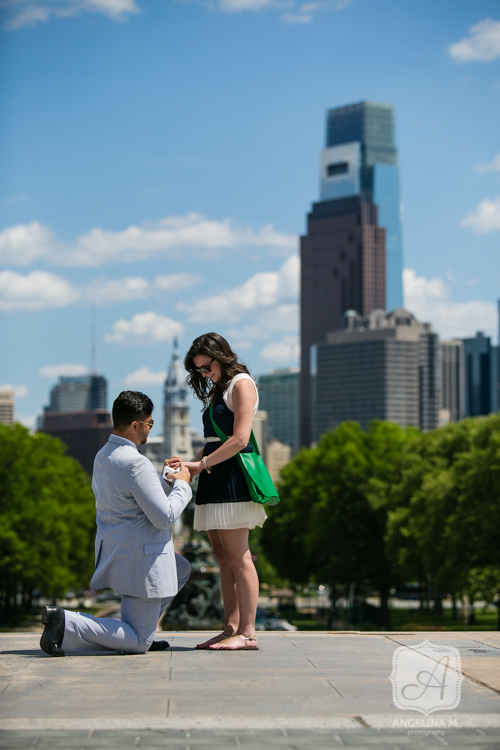 Juan had chosen to get down on one knee right at the top of the Philadelphia Art Museum steps, overlooking the Philadelphia skyline. 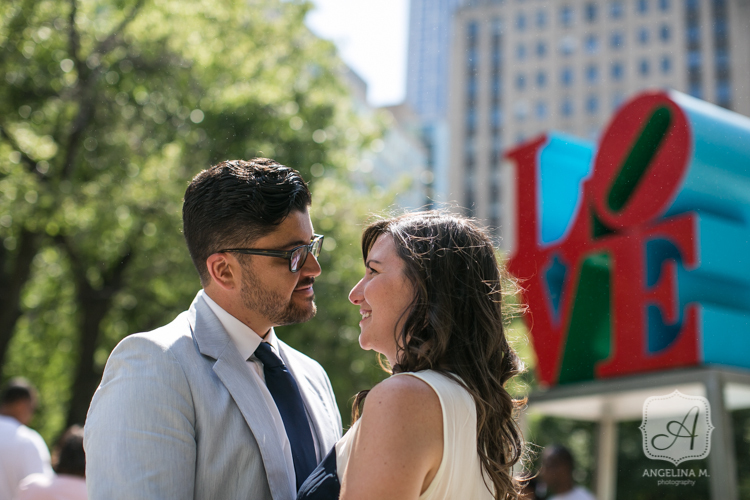 Philly is where they met, where their love story began. And it now marks the beginning of the next chapter in their lives together. 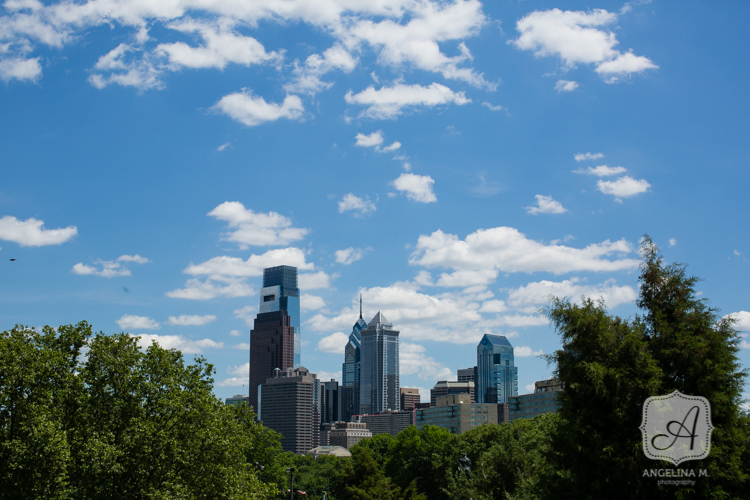 Even though they live on the opposite side of the country, Philadelphia will always hold a special place in their hearts. 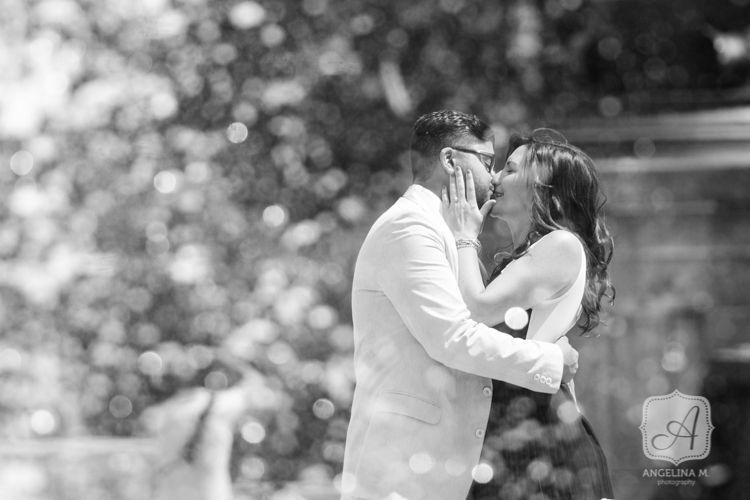 Congrats, lovebirds :) I’m SO happy for you and love you both so much! 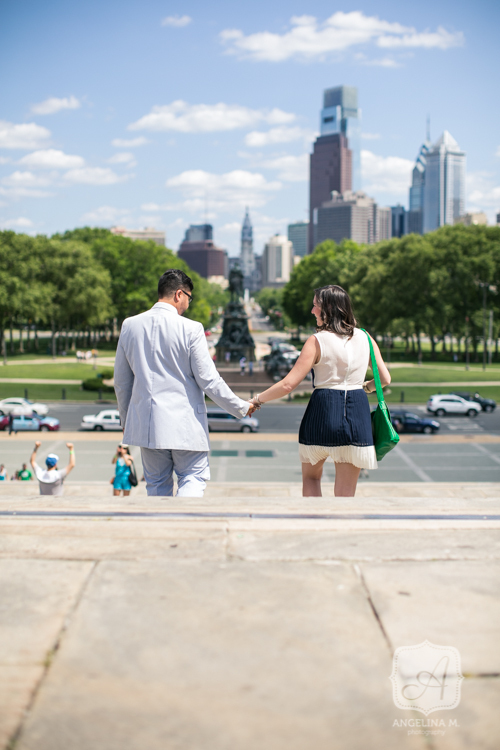 Here are some of my favorite photos from their surprise engagement proposal…enjoy! Isn’t her ring gorgeous?! 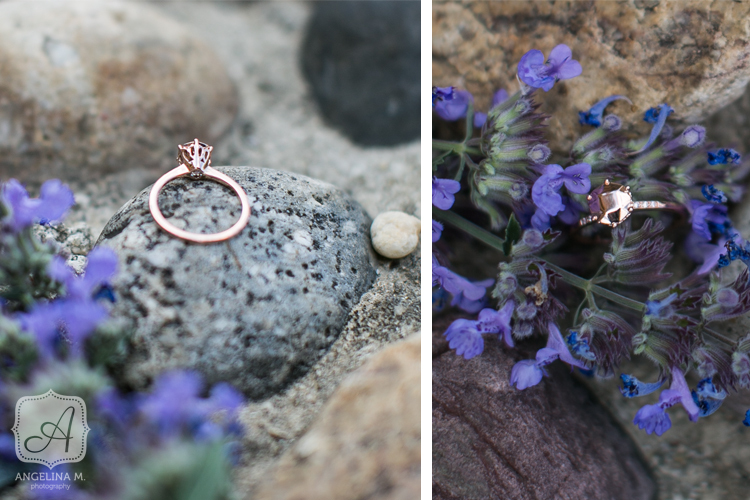 The “diamond” itself is made of solid rose gold but, if you look closely, nestled underneath is a champagne diamond. So unique…I’m in love with it!